Salacious Crumb is one crazy freaky alien. We only saw him for like two seconds in Return of the Jedi, but that laugh. He is clearly insane and probably the real brains behind Jabba’s criminal empire. Well, now you can make your own Salcious Crumb cakes. 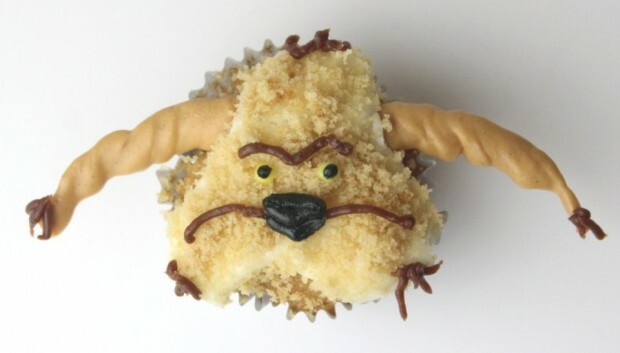 These treats use cake crumbs to shape his face. 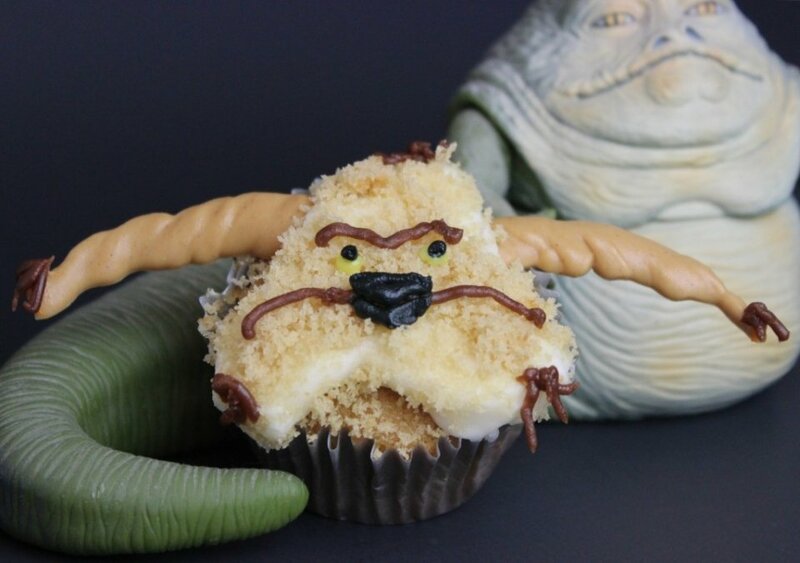 The recipe, which can be found at StarWars.com, makes 18 cakes. I suggest setting one of them beside you and throwing your voice to make it cackle all day long. I’m sure that won’t annoy anyone. I can’t wait to eat this little guy. He will be delicious and insane.